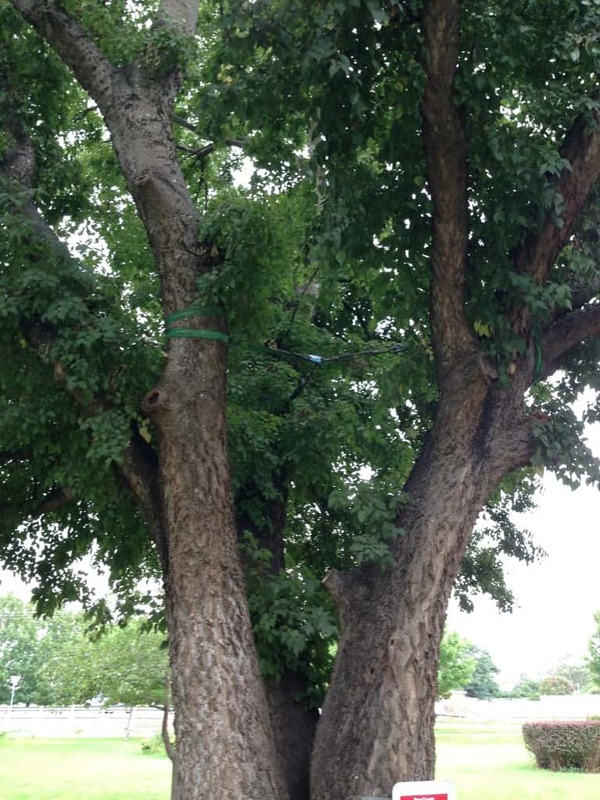 IS CABLE TREE BRACING AN OPTION FOR YOUR TREE? Do you have a tree or trees that are important to you and may need to be secured with cable bracing due to a defect. Maybe it is a significant tree, commemorative tree, has some historic interest or is just sentimental to you. If you have been advised that it should be removed but you are unsure and would like a second opinion, call us today and we will provide an onsite consultation and second opinion as to whether cable bracing is an option for your tree. We will design and install the best solution for your tree based on calculated weights done through a visual tree inspection (VTA) and assessment. Consultation fees will apply along with a quote to carry out this type of work. Installing cable bracing in a tree, one has to understand and accept the tree may have problems. Tree bracing may be a temporary fix or redirection strategy if a tree part was to fail. It is not a cure nor a remedy. For more information on how we can assist please contact Canopy Tree Services Sydney & the Southern Highlands today!